Drought conditions in Utah continue to worsen even when we have record snowfall. If we continue on this drought route, there may be city restrictions on outdoor water use. However, you don’t need to chuck your dreams of a beautiful summer lawn surrounded by colorful flowerbeds, trees and shrubs. Our two water-saving products will keep moisture in your soil for up to three months. You’ll notice a 40% water-savings right away with these hygroscopic humectant treatments. At Ecolawn, we know the importance of conserving water. Utah’s desert-like climate makes growing a healthy lawn and landscape a challenge. As lawn care professionals, we’ve witnessed firsthand how summer drought affects turfgrass. Dry spots, diseases and insects attack lawns that go dormant. And your property will look dull and brown. Here are Utah’s drought statistics: 60% of Utah is in a moderate drought, and 33% of the state is abnormally dry that could lead to a drought situation. Even though Utah received the right amount of snow this winter, it wasn’t enough to make up for drier, less snowy years. At Ecolawn, we use two water-saving products that draw moisture from the atmosphere and keep it locked in the soil for a longer period. Typically, gravity will pull water vapor away from the soil so it can’t percolate down deep into the ground. Also, plants can’t use water vapor—they take up their moisture through their root system. We apply this product to your lawn, flowerbeds and other landscaped areas using our tanker truck with a hose or using a spreader for the granular product. You do need to water the product into the ground for it to start working. We take appointments to apply this product in March or April. It lasts three months in the soil—getting your property through Utah’s harsh, dry summers. Most customers only need one application in the spring. However, you may want us to apply a second treatment in June if you live in Park City and other areas that may have water restrictions and moderate drought. If you want a beautiful, thick lawn all summer, then you need our water-conserving products. Hydretain will save you 40% more water right away. Hydretain is an investment. It’s an expensive product to put on your lawn and in your flowerbeds. But you reap the rewards when you get your water bill—you’ll be using less water to keep your property looking its best. At Ecolawn, we recommend that you use Hydretain or our other water-saving product because of Utah’s arid conditions. In that first month, you’ll notice that your water bills are lower because you’re using less outdoor water. What is the real value of Hydretain and other water-saving products? You’ll notice a 40% water savings right away. You can still have a beautiful lawn and landscape even during a drought. Your yard grass won’t go dormant, and your landscape beds and planters won’t wilt. Your lawn will have no drought spots. It’ll be evenly green throughout your yard all summer long. Hydretain and our other water-saving product aren’t certified organic but are produced using food-grade, organic-based hygroscopic and humectant ingredients. Hydretain isn’t a wetting agent or a surfactant. Instead, Hydretain is a hygroscopic humectant that takes water vapor and turns it into water droplets within the soil. The hygroscopic humectants act as water magnets transforming water vapor into droplets, so the plant uptakes the moisture through its root hairs. Hydretain helps with seed germination and fertilization. You’ll notice grass sprouting faster with Hydretain. You’ll also see healthier, hardier plants because Hydretain works with fertilizer to deliver more nutrients to plants. 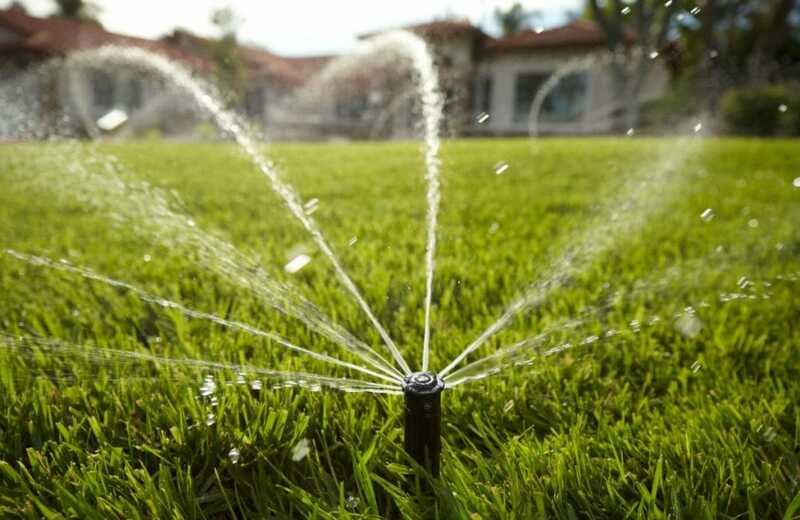 You’ll avoid any water restriction fines by staying compliant with local lawn watering rules. Hydretain works for three months getting you through Utah’s hot summer. After we apply Hydretain to your lawn and flowerbeds, you’ll need to water the product after application. From there, the product will attract water vapor molecules and attach them to root hairs. Hydretain will then transform those water vapor molecules into tiny droplets that the plant can absorb and translocate to the rest of the plant. Hydretain does that by staying in the root zone and acting like a magnet, drawing down water evaporation back into the soil and keeping it in the root zone. You’ll notice lower water bills. You’re helping the environment by keeping moisture in the soil as well as not draining our groundwater supply through outdoor water usage. You can still have a beautiful lawn and landscape even if you need to reduce your water usage. You’ll know that Hydretain and similar products help with nutrient uptake after fertilization. Your turfgrass, trees, shrubs and planters stay alive and even thrive during a drought with Hydretain in the soil. Hydretain helps with seed germination including turfgrass seed. You’ll notice a fuller, greener lawn and bolder flowers in your flowerbeds. What’s the cost of NOT using this product? Your flowers and other perennials will wilt, and your lawn will go dormant, brown and dull. If there are municipal water restrictions, you’ll be limited in what you can do to revitalize your lawn and landscape. Your water bills will be higher. Your lawn care and plant health care bills will be higher, too, because we’ll need to renovate your lawn in the fall. Your perennials and ornamental woody plants may not survive the summer and are susceptible to disease and insects. You may feel desperate enough that you water your lawn and landscapes at night when no one can see you breaking water restriction laws. Many times, these types of miracle products are the tools of the trade for snake oil salespeople. However, Hydretain is different. It’s not just a pie in the sky product. It works. Top land grant universities throughout the U.S. have tested Hydretain and wrote about their results. These universities published case studies and before/after pictures. What can the customer expect from Hydretain and other hygroscopic humectants? Your lawn won’t go from green to brown. Your lawn and landscape will thrive despite a drought and water restrictions. You only need one treatment per season. One treatment will last three months covering the entire summer. You can have a second treatment in late summer and early fall if you believe your lawn and gardens need one. Why should you get the Hydretain applications through us at Ecolawn rather than our competitors? For one simple reason: Not many other Salt Lake City, Park City or Heber-Midland lawn care companies provide this service for UT homeowners and property managers. Plus, Ecolawn’s owner, Rob AhPing tested Hydretain to make sure it delivered on its promises, and he found that the product does work. Rob also met the manufacturer and got training to use the product on residential and commercial lawns. What’s the value of using Ecolawn’s water-saving products over anyone else? You can trust us. We’ve studied this product and found it works on Utah’s lawns and gardens. Plus, it’s a safe product to use around children and pets. Hydretain and our other water-saving product don’t have any harmful chemicals that are released into the soil or air. And our water-saving products benefit the soil and the environment. You use less outdoor water, and the products are designed to keep water in the ground where it’s needed most. What are the benefits of using Ecolawn’s water-saving products over anyone else? When you hire Ecolawn to treat your lawn with Hydretain or a similar water-saving product, you’ll be working with experts. Our focus is on helping the environment, not making a buck with this product. We’re concerned about Utah’s drought-situation, and we’re passionate about helping solve the problem rather than contributing to it. We work hard to find that sweet spot where you can have a beautiful lawn without wasting water. What’s the cost of NOT using Ecolawn’s water-saving products over anyone else? First, your property will suffer as mentioned above. Plus, other lawn care companies may not have our values when it comes to protecting the local environment and our waterways. It’s easy to cut corners with this product because it’s expensive. So, an unscrupulous lawn service may use less product, charging you the same price as if they used the promised amount. And you wouldn’t know the difference until later in the summer when dry spots appear on your lawn and your landscape plants start to wilt. How are Hydretain and other water-saving products applied to my lawn and gardens? Since Hydretain and other water-saving products need heavy volume to apply to your property, we use our tanker trucks with hoses or spreaders for granular products. Hydretain and other water-saving products do need watering to absorb into the ground. We can treat your lawn and landscape on a drizzly or damp day to save you even more water and money.